Pico has been producing projectors for nearly half a decade now but they haven't been able to make an impact that was expected. But geeks all around are really fond of it. They are fascinating all of us with gizmos but it's not obvious that everyone would like it. 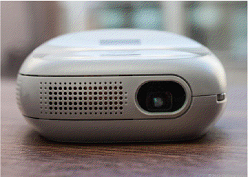 The 3M Pico projector is the first of their lot that has a lot to offer. With its pocket sized structure, the look will surely disguise you a lot. Its brilliance at its best as it comes with integrated Roku Streaming Stick which means that there is a lot of wireless activity you can manage. 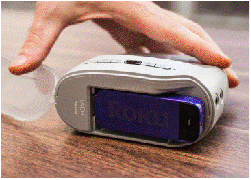 There is also a built in rechargeable battery which means no strings and wires attached to the device while in use. Netflix on the wall is really cool and imagine putting up a TV anywhere anytime you need it. Although like every device it has some faults too, specially the limited time battery life of about 1.5 hrs, brightness and a DVD like resolution. But it won't distract you from this high end cool gadget. This freak is a true example of looks being deceptive. The little curved plastic body which is pocket sized has all the elements which can stimulate you to grab it and you can start streaming and projecting anywhere. Controls are basic and you don't have to read manuals to use it. For a Roku stick there is a remote which helps you control everything. The remote is thin and it has a credit card style click buttons. At the back there is a plastic cover encasing Roku stick. The stick is chunky but 3M have made a brilliant design as it just embeds and disappears into the projector device. This is a very beautifully designed streaming projector by 3M. All features work wirelessly for this device. There's an included "wall wart" AC adapter that can power the Streaming Projector, as well as recharge its battery. With a projector that fits your hand its rare that the image and viseo quality will be bluray like but somehow they have managed to give you a DVD quality video which is also good. The resolution it projects is 800x480 pixels which is good from this small device. 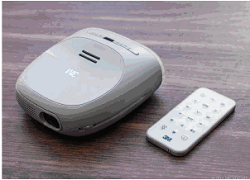 The projector is capable of 60-lumen light output, which is nothing compared with a true home theater projector, but it's comparable to some of the other pocket projectors on the market. Esme Craig a content writer and an entrepreneur write for Removals Companies and house removals that provide suitable solutions and amazing services for man and van London also. Yahoo owned Flickr, very recently launched its revamped iOS app. With the Flickr app, photo sharing possibilities are endless. It is believed that this app is giving Facebook owned Instagram, its competitor a tough run for its money. What worries many users is the fact that Instagram has made official its plans of introducing its new Terms of Service which will be effective form January 16th 2013. This may or may not go down well with users. Many Instagram users are looking for alternative online photo sharing platforms. One of the best choices is the Flickr app. · Available in languages: English, German, French, Chinese, Indonesian, Korean, Italian, Portuguese, Vietnamese and Spanish. You can download and fire this app on your iPhone, iPad and iPod touch running on iOS 4.3 or a later version of iOS. · Status of uploaded images has better visibility. To get started using this app you need to download and fire it on your Apple device. You can visit the App Store and download the latest version of Flicker app. Alternatively, you can visit the app link and download this app for free. Flicker app users had to wait two long years to take advantage of version 2.0 of this app. A few of them have been listed below. · The revamped Flicker app allows you to share photos on Facebook like never before. · Users can also search and find their Twitter and Facebook friends. Furthermore, users will also be notified if such contacts become Flickr members. · Users will be notified if another member comments on the same photo as he commented on. · This new version of Flickr iOS app offers a hassle-free signing up experience for all users signing up with a Google account. · With the latest Flickr app, users have the power to make good looking images picture perfect. Thanks to the filter feature that this app comes with, users can make an ordinary looking image shot on a mobile phone look extra ordinary. · Apart from this the company says that it has fixed many bugs that this app’s loyal users reported. Download the latest version of this app and you will be amazed to witness the new photo display layout that makes your personal photos look simply superb. This is a guest post by Sofia Fern. She is a guest writer who writes more about digital cable and high speed internet. To get more information about coxcable, you can visit the site. Well, Google has become a major source of online services. This source is providing amazing options and features to the online users. For the progress and development there is a great role of Google. In fact, the Google online services are providing good chances to the online users to get maximum development and progress. With the help of new and modern Google approaches it is easier for the users to get the goals easily. This is first tip that can be used for the excellent results. As you know the new and modern online features and facilities provided by the Google have gained good status in the society so it is necessary to give some time and attention to the Google+ to search the necessary materials and objects helpful for the marketing. Because of the amazing online searching facilities the Google+ has got the status of an operational base. It means that anything you want to do online for the marketing will be assisted by the Google+. Yes, you are lucky to use this tip because of the modern online marketing facilities offered by the Google in the form of Google+. When someone uses the services of Google+ he makes a profile. The users can use the Google+ profile for the marketing and promotion. Is it amazing? Definitely, it will be amazing for the readers because it gives a touch to the web linking and social media usage. As a matter of fact, the social media marketing is the most important tool for the online marketing companies and workers. For better results and outcomes the users are suggested to utilize the online social media sources. Google+ allows the users to use this tip in an excellent way. It is possible to increase the blogging activities with the help of new Google+. 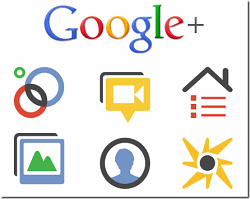 The features offered by the Google+ are favorable for the bloggers who want to increase the web traffic and space. Yes, it is possible to use the Google+ profile to increase and update the web ranking. Nowadays, search engine optimization experts use the best features of Google+ to boost up the web ranking. Develop your web links with the help of Google+. It is a common practice for the online users. There is an attention magnet in Google+. It is suggested to attract the online users with the help of Google+. Users can enjoy the information collection help by the Google+. This is really nice if properly managed. As a matter of fact, we have learned that Google+ can be used for the outstanding marketing so it is necessary to take full advantages of this service. My name is Alice Viers. I represent Grammarbase . We will help you to check your grammar and to write without any mistakes.